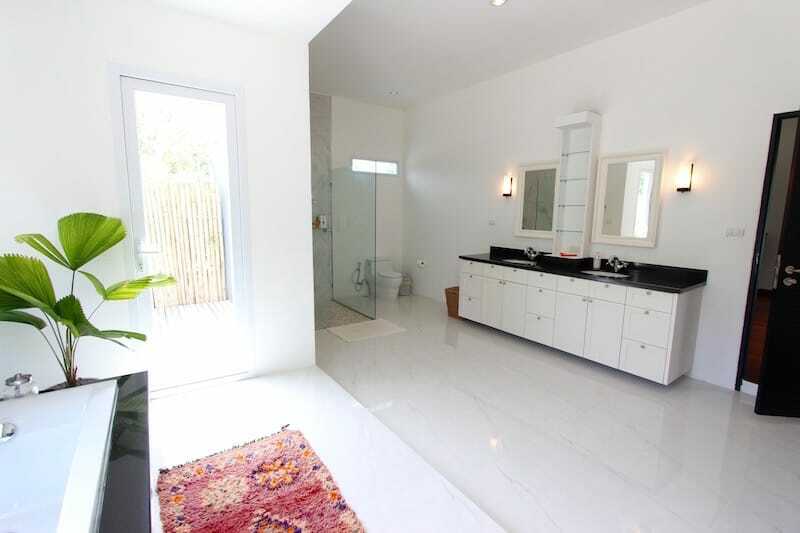 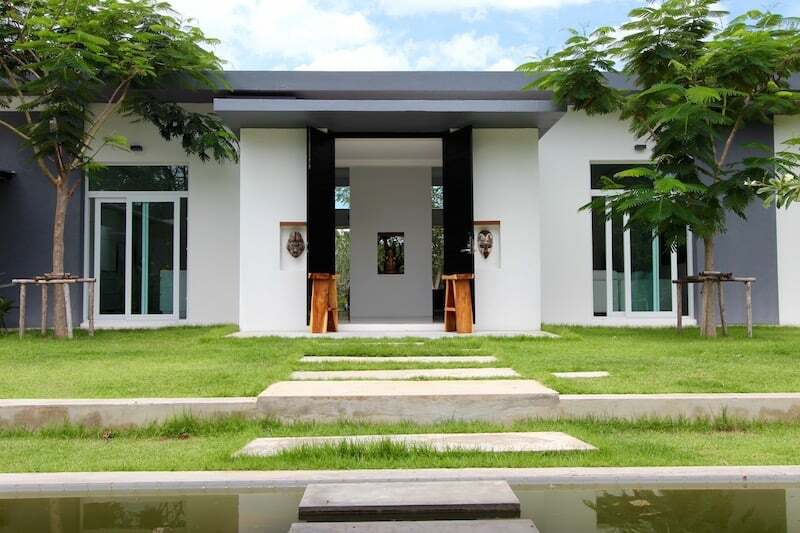 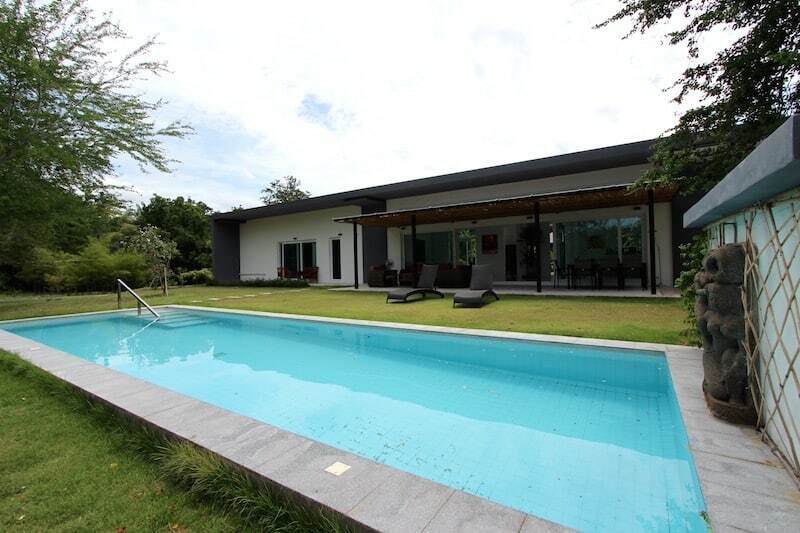 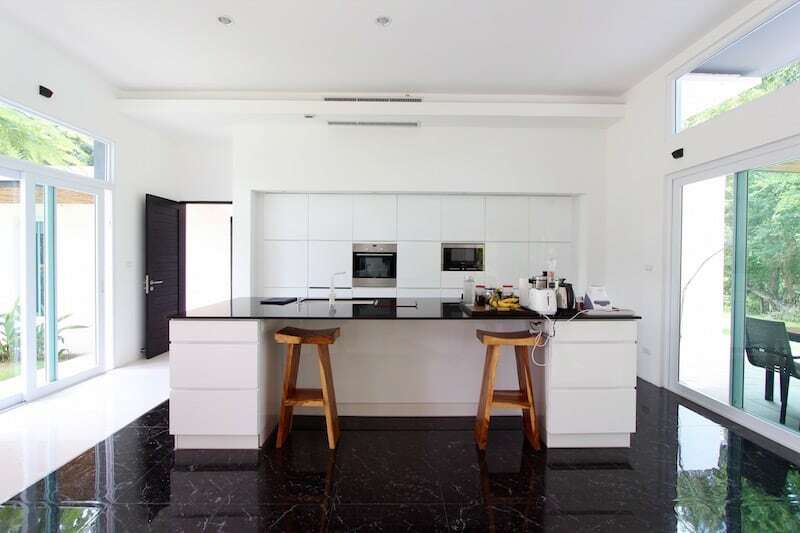 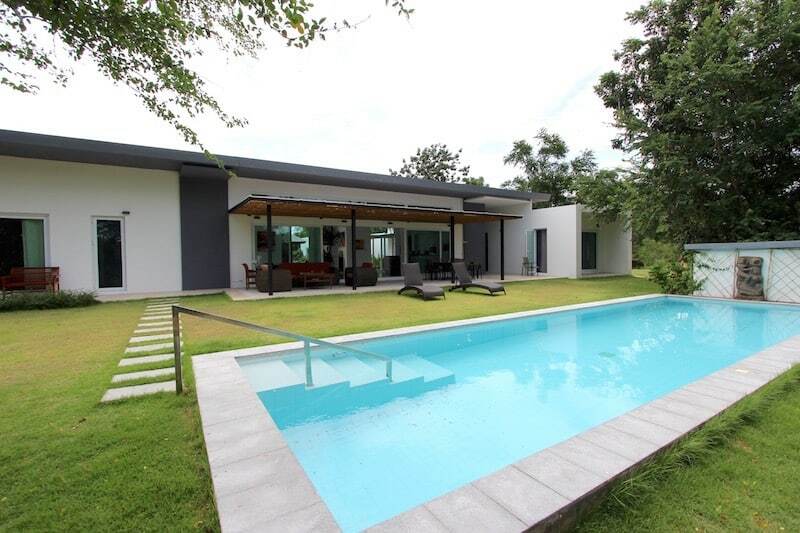 This is a beautiful, well-built modern home on a large piece of land offered at a fantastic price in North Hua Hin, just next to Palm Hills golf course (adjacent to the 18th hole and close to the club house). 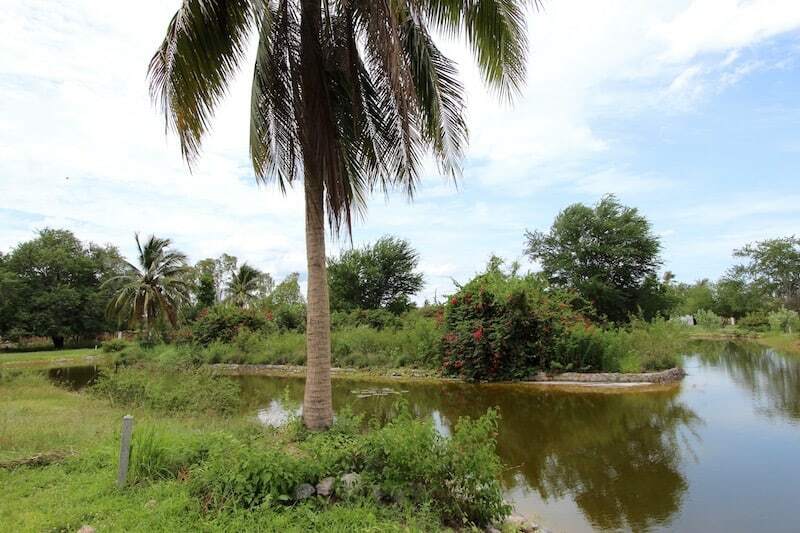 The land itself (2 1/2 rai or 3,845 sqm) is stunningly beautiful and pristine with a lake that meanders through the area. 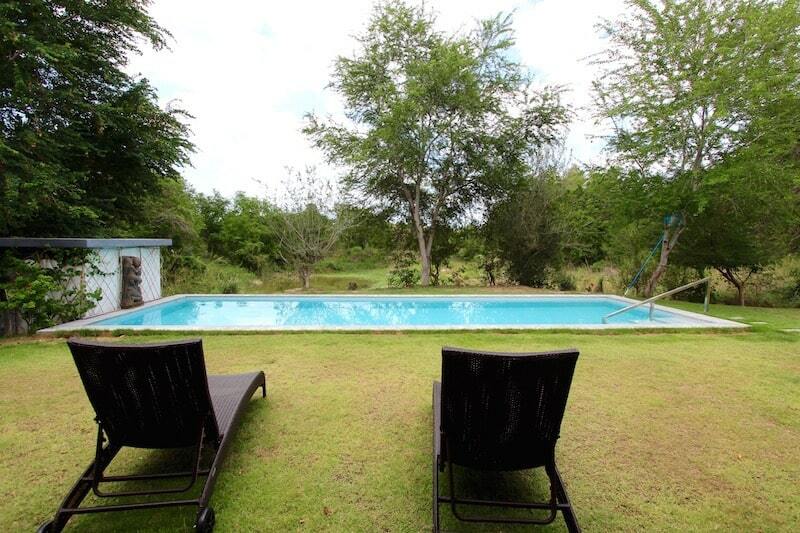 It’s hard to believe the golf course is just next door. 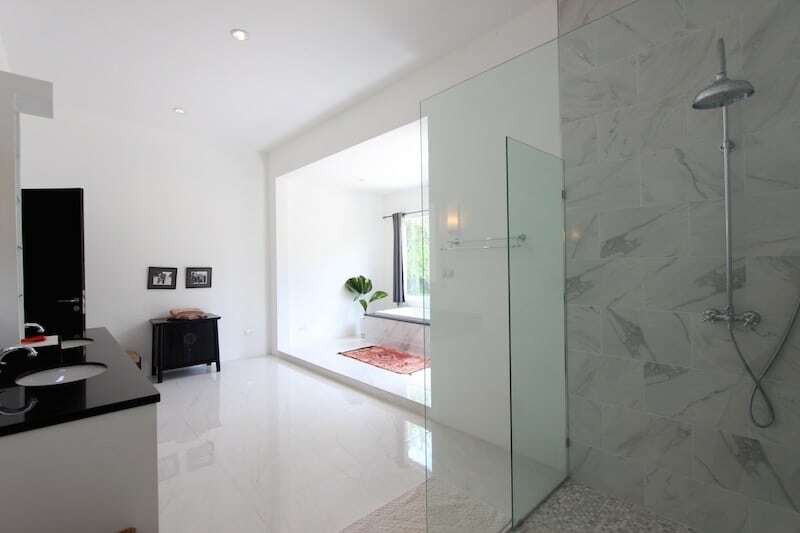 In fact, the home purchase includes a Palm Hills golf course membership, which is extremely convenient, considering the proximity. 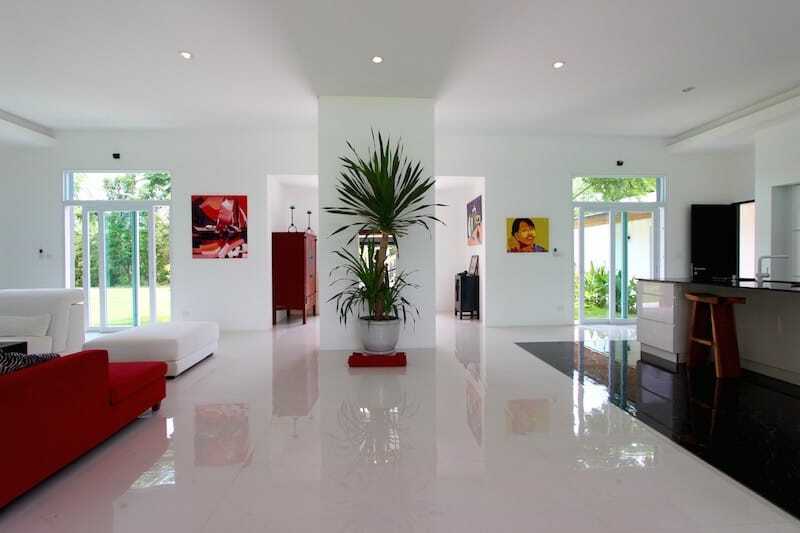 The design of the home is modern with flat roofs, clean lines, minimalist style, and lots of light and open spaces. 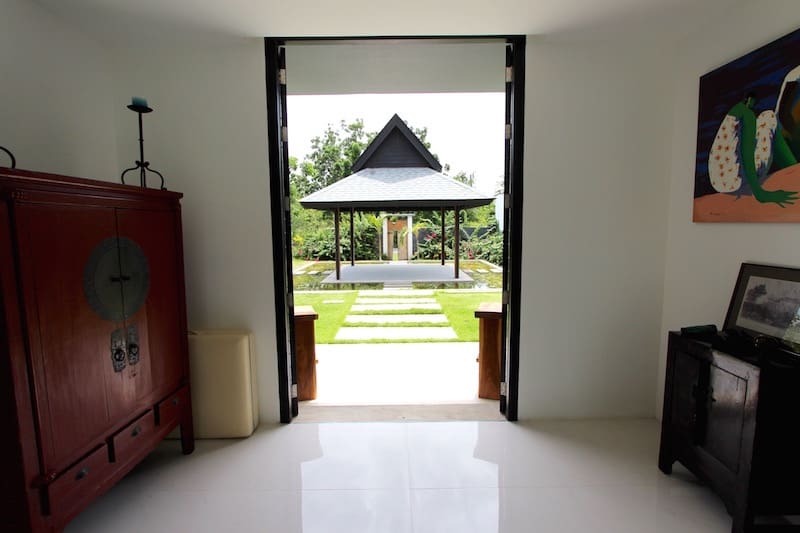 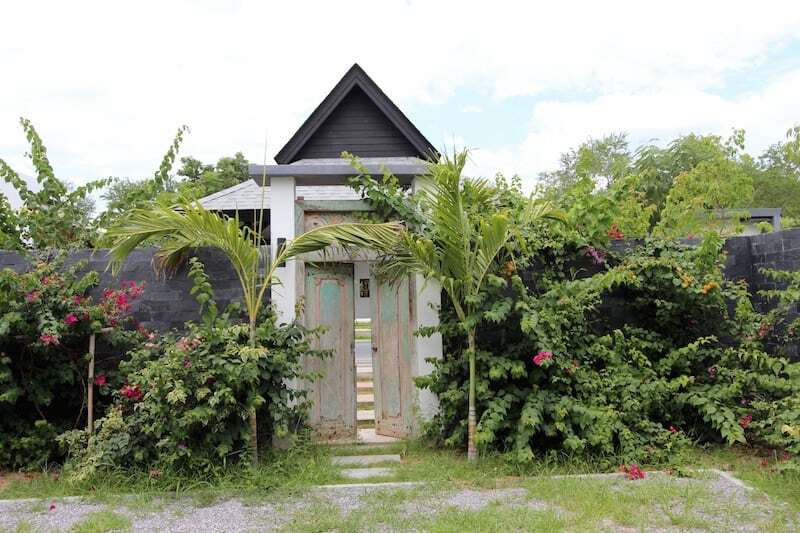 At the same time, however, the home also incorporates distinctly Asian and Thai influences, including an entrance sala surrounded by a water feature, reclaimed Thai wooden doors, a focus on outdoor living, etc. 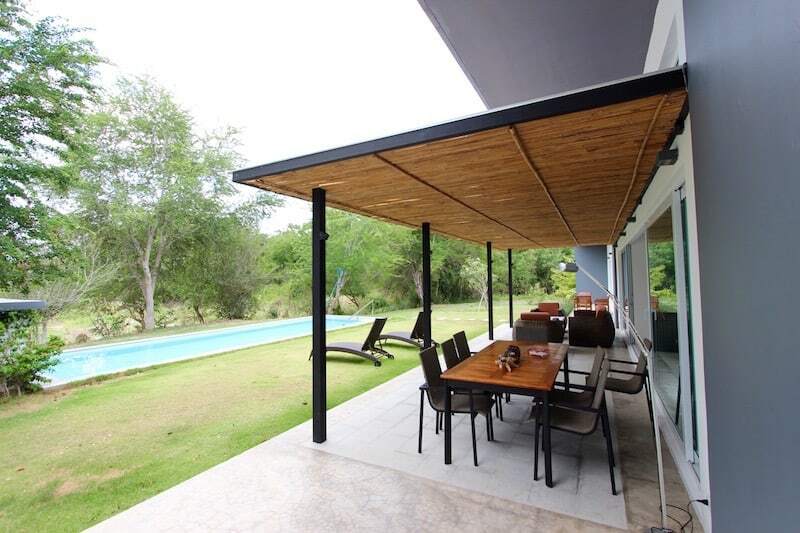 The layout is open plan with high ceilings and an abundance of floor-to-ceiling sliding glass doors to bring nature closer to your living area. 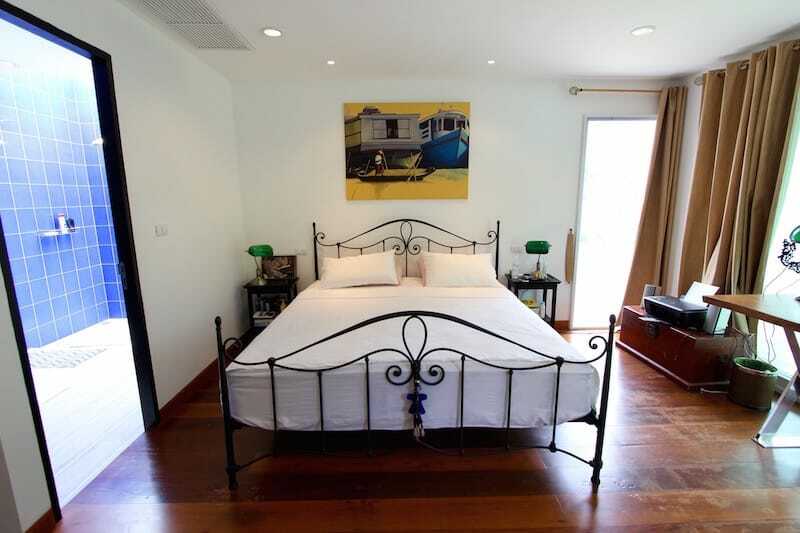 The modern design is tempered by warm wood and concrete floors in the bedroom, which provide a lovely balance to the clean lines and white walls. 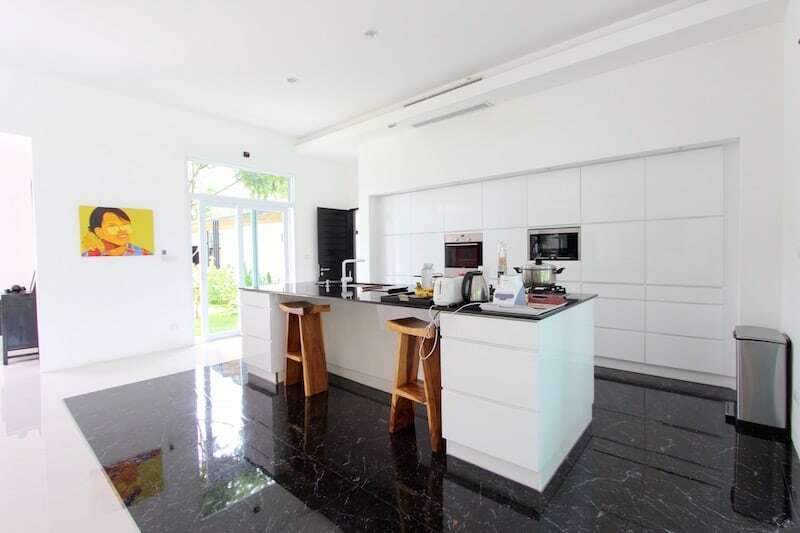 The kitchen is by Kvik, the best kitchen company in Hua Hin, and the bathrooms are beautifully designed and executed with a playful yet sophisticated look. 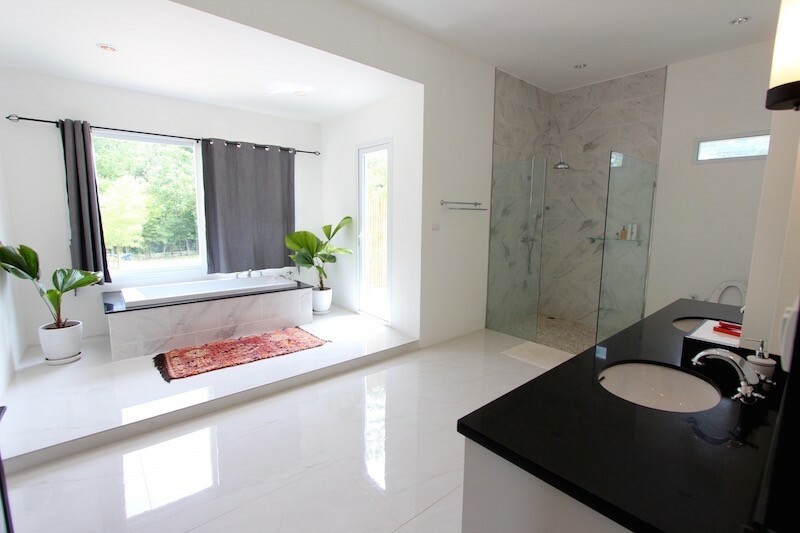 All the bedrooms have en-suite bathrooms, and the master bedroom includes a large walk-in wardrobe area and a huge master bathroom. 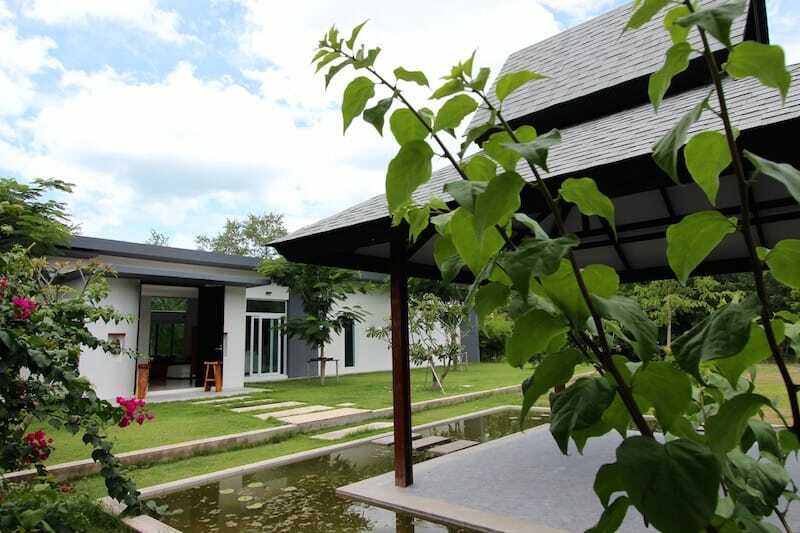 The main house consists of a large, open plan living, dining and kitchen area plus a large covered terrace and the master suite. 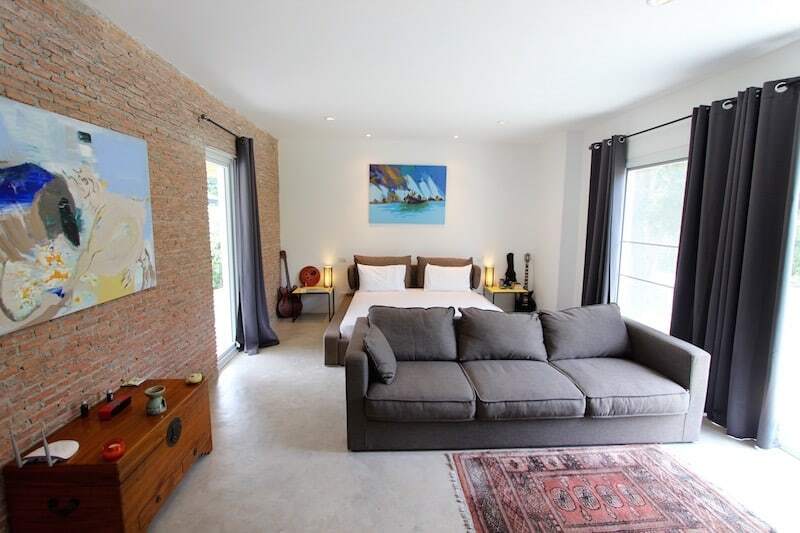 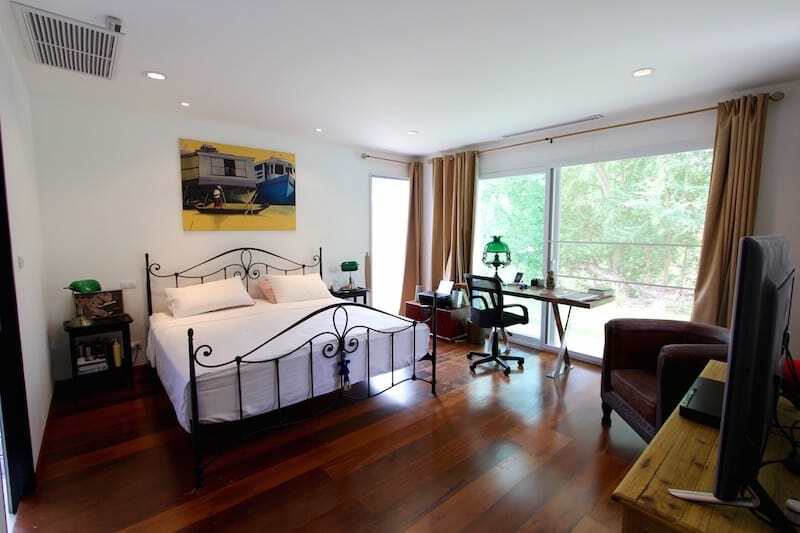 There is another, separate wing which has 2 guest bedrooms, each en-suite; a guest toilet; and the study or office, which could be easily converted into another bedroom. 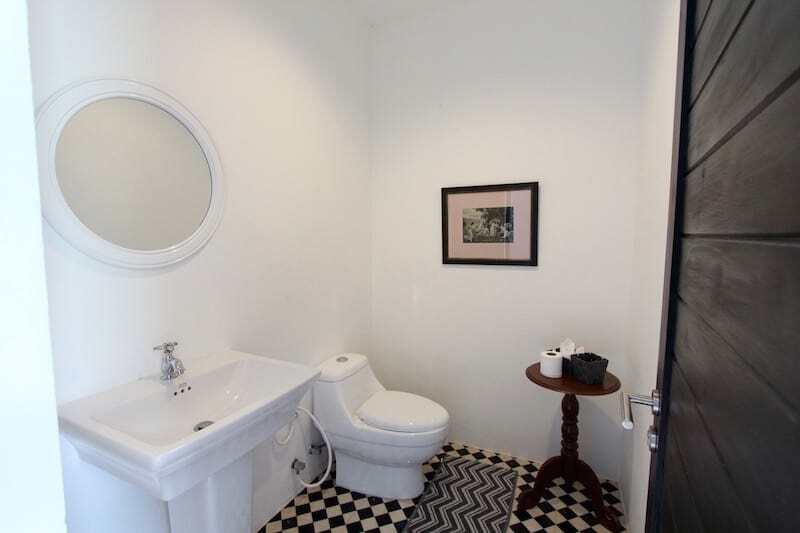 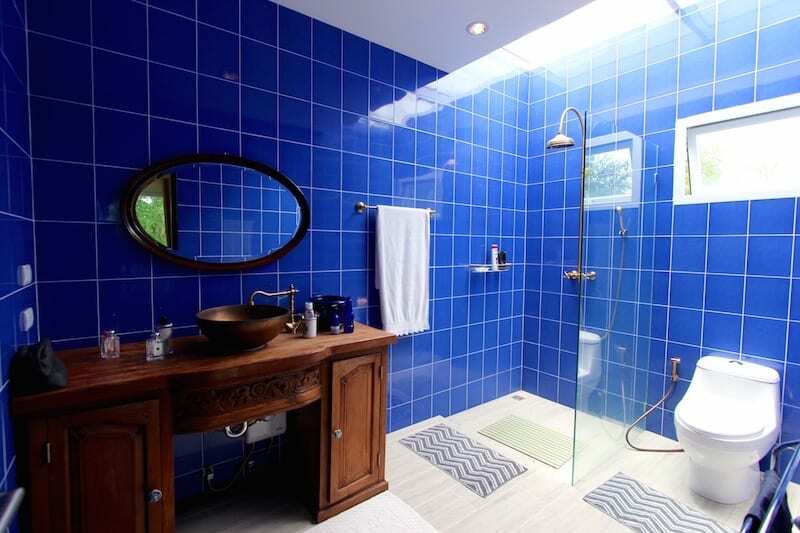 There is a detached maid’s room, finished to the same high standard as the rest of the house. 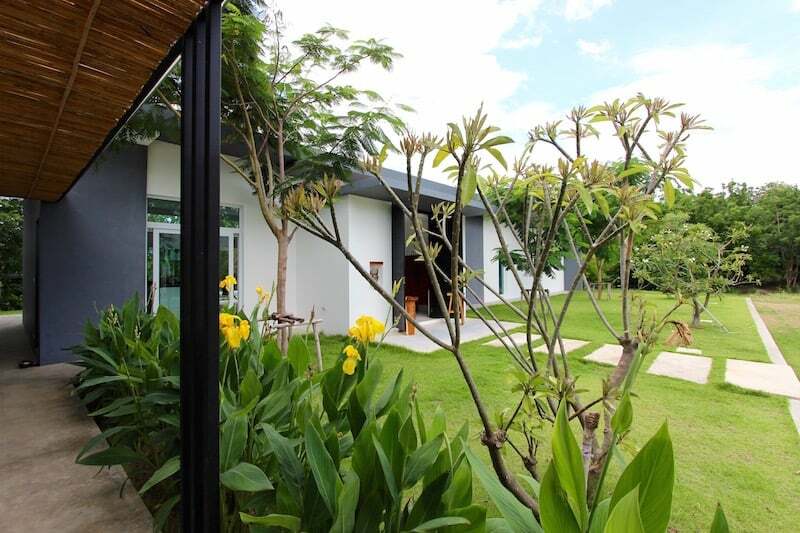 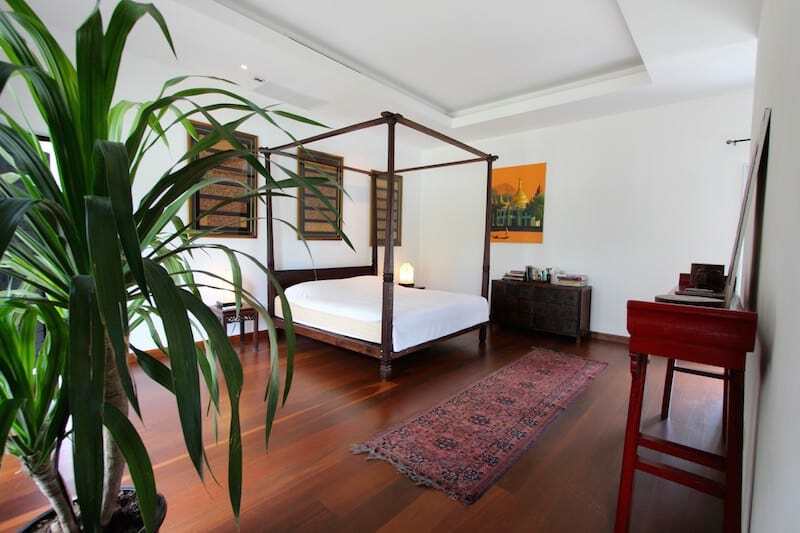 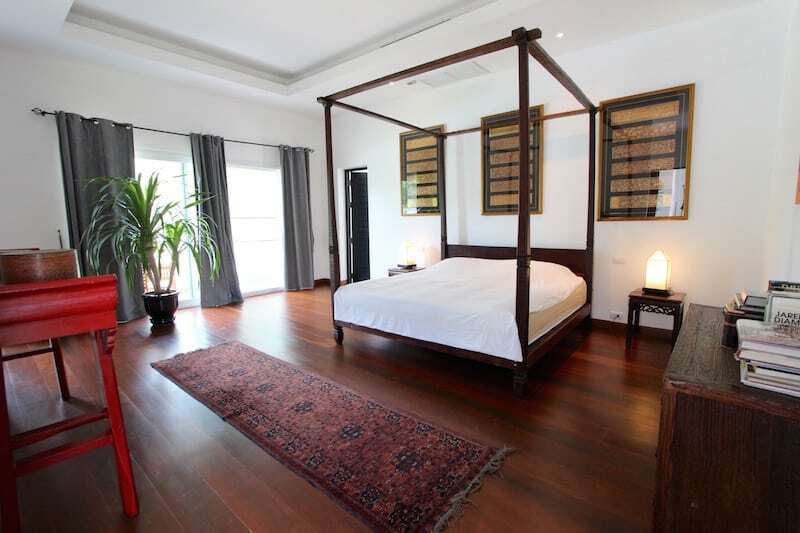 And finally, there is a 2 car, covered garage; a 60 sqm storage room; and a private, motorized entrance gate with remote. 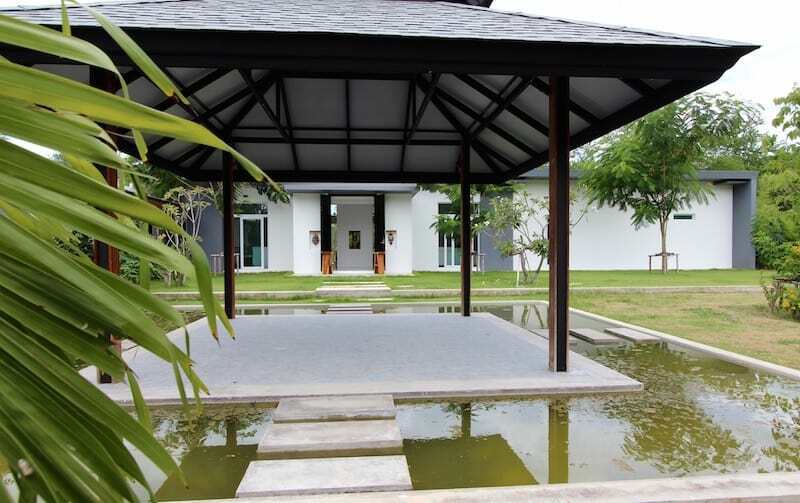 Outdoor living is integral to a tropical climate, and therefore the builder created lovely outdoor spaces, including a large 12 meter swimming pool overlooking the spacious, private garden; covered terraces for lounging, dining and relaxing; and natural, green walls to enhance privacy and feeling of being surrounded by nature.